Foolhouse Treasure boxes were born out of tireless retrieval of my Tupperware containers and shoeboxes that kept disappearing into children’s bedrooms to become vessels for much coveted collections of wishbones, shells, car-parts and so-called precious detritus that just had to be kept! But let’s face it – it’s not just the kids that do this!! Made of Multiply and lined with a patchwork of colour, the treasure boxes are a tangible testament to the raw beauty of wood. Comprised of 6 individual compartments, they are perfect for separating all important treasures. The dividers can be removed too if the box needs to evolve to take A4 papers. 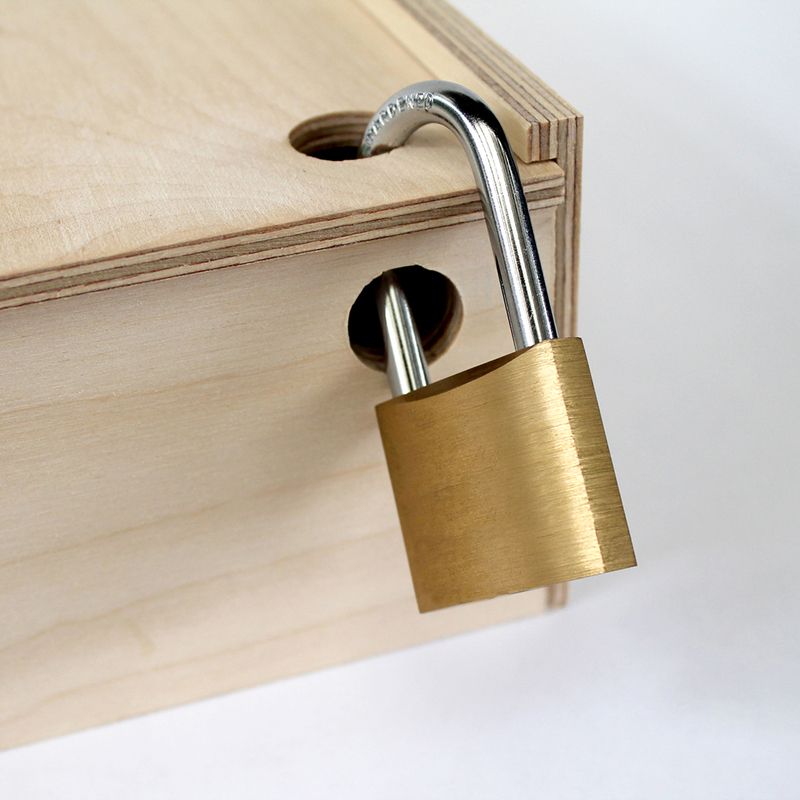 The lid slides and is operated by a pull hole which can double to take a padlock. The kids love this! 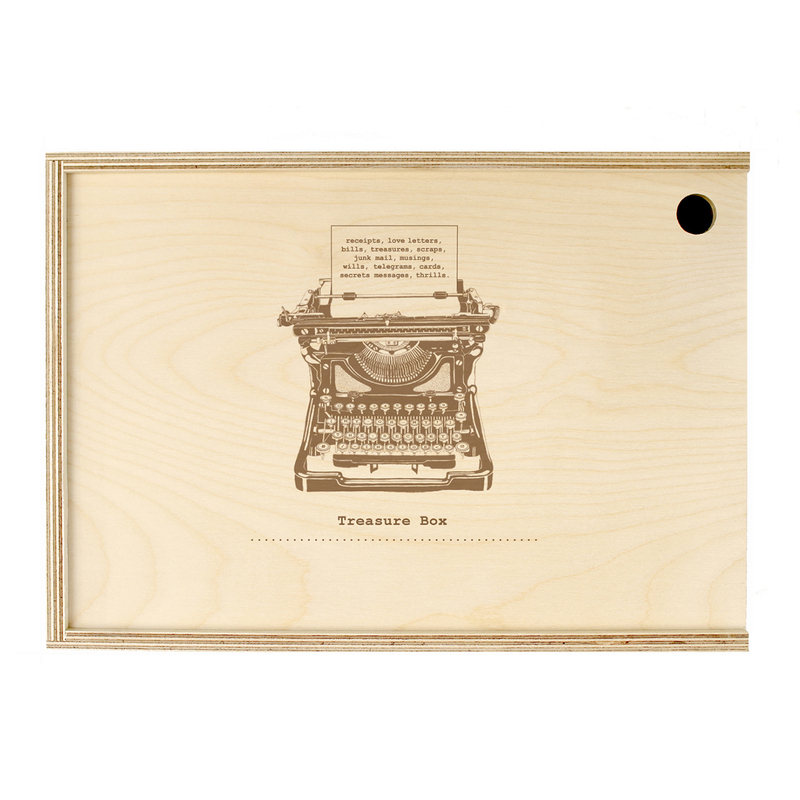 This particular Treasure Box is made for the adults out there, vintage loving treasure hoarders who have love letters, bills or receipts to sort or nic-nacs to ferret away – the words Treasure Box are included – what curiosities go in it are are up to you or your gift recipient! 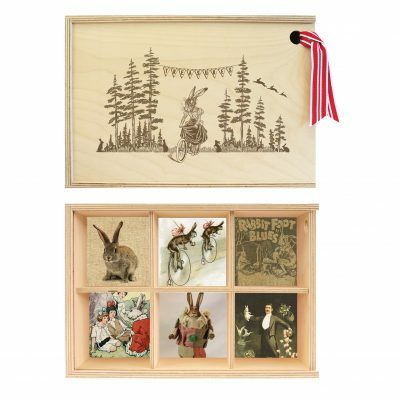 For Newborns: The divisions can be removed to use as a memory box – for birthcards or birth certificates (fits A4). Or give them as a baby shower gift and buy little treats for each compartment – booties, singlets, soaps, dummies, creams. 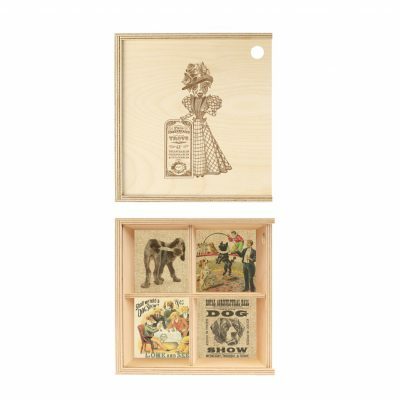 For Toddlers and Teens: Thoughtful as a birthday or Christmas gift – each compartment can be filled with small treats, such as jacks, marbles, rubber balls, playing cards – or hand it over empty and watch them fill it with stickers, rocks, found corks and matchbox cars or jewellery! Make sure you get them a padlock too! ( Padlock not included ) My brother, 40+ now! Used to love locking up his most precious things in a secret wooden box – I know there were old Valentine’s cards and fireworks in there! 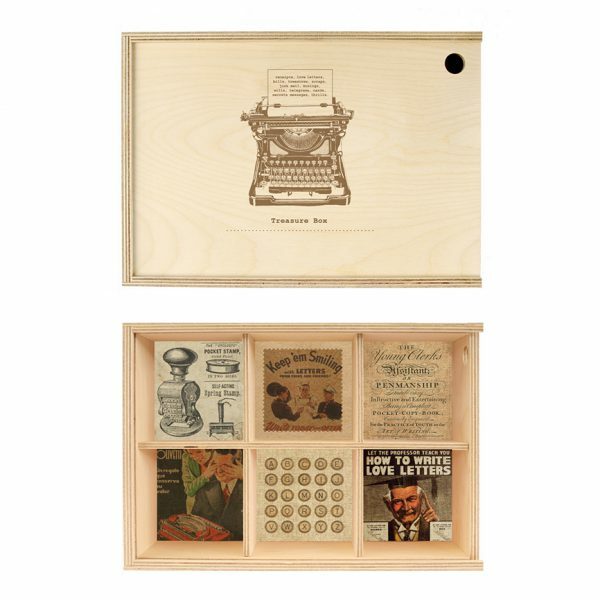 For Adults: I didn’t expect these boxes to take off for adults at first, but then friend’s husbands enquired of the need for a box that would take vintage watches or cufflink collections. 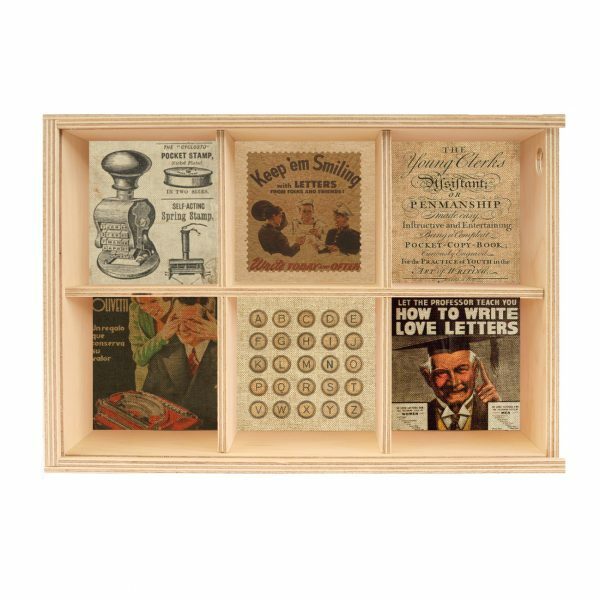 Check out Foolhouse’s Men’s Dresser Box at our shop. Perfect for that quirky Dad or Grandpa. I cannot put an age limit on this box’s usefulness! Due to the natural materials used to make this box, there can be slight colour variations in the plywood and the appearance of the engraving – Sometimes the timber batches produce a deep sepia engraving and sometimes a warm caramel. Ahh the nature of nature! Also – you will notice if you’ve had time to read this far! that some of our lids have had the illustrations photoshopped on instead of showing the actual engraving – it is because we are far better at making boxes than taking photographs! Usually we are so excited to get the finished product off to the customer that we forget to take a snap! But where possible I have uploaded a close up of the real thing! The overall box measurements are 332mmL x 234mmW x 93mmH. Internal individual compartment sizes are 95mmH x 100mmW x 65mmH. Delivery for Treasure Boxes is min. 1-2 weeks as we make them up especially for you. If you have a rush order, please email us to let us know your deadline and we’ll do our best to help you! Don’t forget for just $10 extra we can personalise them for you. See the PERSONALISED listing to order.